What are Some Common Diseases Associated with Lupus? 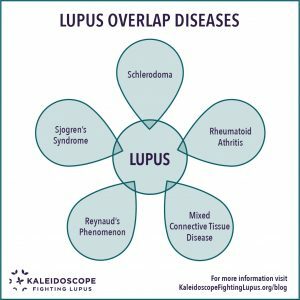 What are lupus overlap diseases? Some lupus (SLE) patients have been told by one physician that they have lupus, while told by another physician that they have, for example, scleroderma or another related disorder. How and why does this happen? Although lupus most often occurs alone, many people with lupus can also have symptoms characteristic of one or more of the other connective tissue diseases. When this occurs, a physician may use the term “overlap” to describe the illness. People affected with lupus may have none, one, or several of these well-recognized overlap diseases. These overlaps are, typically connective tissue diseases, or closely related group of disorders that affect the connective tissues of the body. Scleroderma, or systemic sclerosis, is a chronic connective tissue disease generally classified as one of the autoimmune rheumatic diseases. The word “scleroderma” derives from two Greek words: “sclero” meaning hard, and “derma” meaning skin. One of the most visible manifestations of the disease is hardening of the skin. Usually found only in the skin and muscles, rarely elsewhere. This form is usually mild with organs not being affected. Patients with localized scleroderma rarely develop systemic scleroderma. This type may affect connective tissue in various parts of the body including the skin, esophagus, gastrointestinal tract, lungs, kidneys, heart, and other internal organs. It can also affect the muscles, joints, and blood vessels. The hardening of these organs and tissues can cause them to function less efficiently. Treatment for scleroderma can include non-steroidal anti-inflammatory drugs and hydroxychloroquine (Plaquenil) typically help both lupus and scleroderma. Methotrexate, azathioprine, prednisone or cyclophosphamide help lupus and overlap syndromes, and perhaps scleroderma lung disease. Scleroderma may modestly benefit from d-penicillamine, relaxin, and minocycline, none of which help lupus. Please see our blog Lupus Medications for more detailed information on common pharmaceuticals for the treatment of lupus and other related diseases. periods of flares and remissions. Rheumatoid arthritis is most often symmetrical, meaning if a joint on one side of the body is affected, the corresponding joint on the other side of the body may also be involved. It usually affects small joints on the hands and feet first, like the knuckle joints on the fingers and base of the big toe. Because the inflammation is systemic, fatigue, anemia, loss of appetite and low-grade fevers are common. b) modify the disease or put it in remission (disease-modifying antirheumatic drugs and biologic agents). Your physician may recommend using two or more together. Some medications affect the immune system or have other side effects, making careful monitoring by your caregiver very important. Along with medications, working closely with your physician to structure a plan for moderate physical activity can alleviate symptoms and improve your general sense of well-being. Characterized by signs and symptoms that are expressed in a variety of disorders, mixed connective tissue disease is a broadly named disease that can include several diseases— primarily of lupus, scleroderma and polymyositis/dermatomyositis. 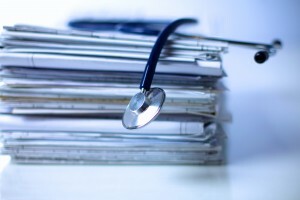 For this reason, mixed connective tissue disease is sometimes referred to as an overlap disease. Mixed connective tissue disease occurs most commonly in young women. In mixed connective tissue disease, the symptoms of the separate diseases usually don’t appear all at once. Instead, they tend to occur in sequence over a number of years, which can make diagnosis more complicated. Some of the early signs and symptoms often involve the hands: Fingers may swell, and the fingertips may become white or even numb. Later, if the disease progresses, organs such as the lungs, heart and kidneys may also be affected. Polymyositis is one of the more common connective tissue diseases. It features inflammation of the muscle fibers. Like lupus, the cause of the disease is not known. It begins when white blood cells (the immune cells that cause inflammation) spontaneously invade muscles. The muscles affected are typically those closest to the trunk or torso, resulting in weakness that can be severe. Also similar to lupus, polymyositis is more common in women, often “systemic” (occurring in many areas of the body other than just the skin which is then called “dermatomyositis”) and is considered a chronic illness with periods of increased symptoms (flares or relapses) and periods with minimal or no symptoms (remissions). Drugs such as prednisone are often used in treatment. Raynaud’s (ray-NOHZ) disease or Raynaud’s Phenomenon is a problem with blood flow. It is a condition that causes some areas of your body— such as your fingers, toes, and the tip of your nose and ears — to feel numb and cool in response to cold temperatures or stress. In most cases, this inconvenience and discomfort lasts only for a short time, while your body is reacting to the coldness, or stress. In Raynaud’s disease, the smaller arteries that supply blood to your skin narrow, limiting blood circulation to affected areas. Like many of the diseases listed as “overlap” diseases, women are more likely to have Raynaud’s disease. Treatment of Raynaud’s disease depends on its severity and whether you have any other health conditions. For many sufferers of Raynaud’s, the management of triggers can minimize the attacks. The most common trigger is cold, therefore, keeping the body warm, wearing gloves and avoiding cold temperatures can help. Stress, smoking, caffeine, medications like any cold medicine with pseudoephedrine, as well as beta blockers, can also trigger an attack. Sjogren’s syndrome is characterized by inflammation of the exocrine glands. Symptoms of sjogren’s may vary depending on the glands involved. The exocrine glands that are usually involved are the parotid glands (minor salivary glands), the lacrimal glands that produce tears, and the pancreatic glands (glands that aid in digestion.) If any or all the glands are affected, the symptoms can include dry mouth, dry eyes and abnormal digestion, which can result in a variety of symptoms including dry eyes and dry mouth and other symptoms depending on which glands are affected. When sjogren ’s syndrome is associated with another disease such as SLE, the treatment includes treatment of the underlying disease such as SLE as well as treatment of sjogren’s syndrome. This usually involves immunosuppressive drugs. Treatment also includes treating the specific symptoms. For dry eyes, there are a number of eye drops on the market ranging from simple tear solution to thick methylcellulose solutions that are used during the night to protect eyes while sleeping. Surgically, the tear ducts can be plugged to prevent drainage of any tears that are produced and subsequently keep the eyes lubricated. Dry mouth symptoms are treated primarily through frequent sips of water. There is a medication available called “pilocarpine” that stimulates saliva production. Sucking on sugarless hard candies promotes saliva production. These patients must keep meticulous care of their teeth, and visit the dentist frequently. Digestion difficulties can sometimes be alleviated with the addition of pancreatic enzymes to the diet. As mentioned above, when one has lupus in combination with other connective tissue or autoimmune diseases, it is often called an overlap disease. This is one of the main reasons that lupus can be so difficult to diagnose and, all too often, misdiagnosed. We understand that there exists many other diseases that may also affect lupus sufferers, but for the purpose of brevity, we created a simplified listing of the most common overlap diseases. We have also included a brief description as well as some common treatments. For more detailed information, including, but not limited to, testing and diagnosis please see the source links listed at the end of this blog. It is important to be aware of the symptoms that may indicate the development of an overlap disease so that they can be properly managed and treated. The treatments for these syndromes are not typically the same as those for lupus; therefore they require separate care and medications.